How to Write Compare and Contrast Essays. Writing a good essay that asks you to compare and contrast depends on your understanding of the things that you should "compare" or "contrast". Writing an essay that asks you to compare means identifying and assessing the degree or extent of the similarities between two things. On the other hand, an essay that asks you to contrast wants you to distinguish by describing the differences between two or more topics or objects. Thus, to compare is to say that X is almost similar to Y in terms of attributes A and B, while to contrast is to say that X is different to Y in terms of attributes A and B. Writing a comparison essay requires showing how two things are alike. In showing the similarities between two things, it is important to identify the characteristics that both things share. For example, in an essay that asks you to compare a football player from a basketball player, you may want to emphasize that both are athletes, both undergo intense trainings, and both play specific roles in the team. After showing the similarities, you may also decide to stress the degree of their similarities. Following the same example, you may include in your comparison essay that both basketball and football players may either be assigned to offensive or defensive positions depending on their skills. Writing a contrast essay requires showing how two things are different. To show how two things are different, you may emphasize one trait of the first object which the second object lacks. You may also try to write down several observable physical differences between the two objects. 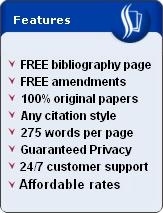 For example, in an essay that asks you to contrast a newspaper from a television news program, you can try to state that the news reports in a newspaper can be viewed countless of times whenever one desires to do so while news reports in television news programs can only be viewed again depending on the availability of a later replay. Thus, they differ in terms of availability of and access to news reports. In writing an essay that asks you to compare and contrast, you should therefore show both similarities and differences. You may choose to highlight first the similarities before proceeding with emphasizing the differences. Or you may prefer things the other way around. Regardless of which method you select, what matters most is that you should avoid confusing one with the other. To compare is to show what elements are common, or what attributes are shared. To contrast is to show what one lacks while the other possesses, or what differences are present. This is the essence of writing compare and contrast essays. 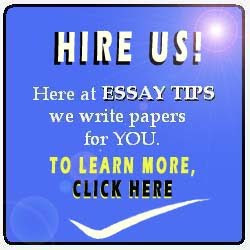 You may also want to read how to write a five-paragraph essay.